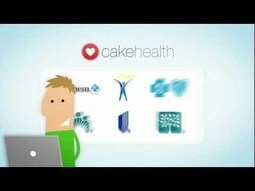 Cake Health makes it easy to understand and manage your health care. The phrase “a piece of cake” has evolved into a metaphor for simplicity and ease of use. Since the Cake Health vision is to provide an easy, intuitive solution for managing your health care expenditures, using the word “cake” in our name makes sense. We want you to say, “That was a piece of cake!” every time you log onto CakeHealth and use your Cake Health Money Manager account. Health care is intimidating enough, why should you be intimidated by managing your own health care accounts? With Cake Health, you will find an approachable system that helps you manage and save. In short: Cake represents a celebration. When you are healthy, there are more years to celebrate you. And more birthdays mean more cake. The JiffPad is a powerful new iPad app that promises to make your clinical teaching moments more effective and memorable. Use the JiffPad to easily create high-impact, personalized medical education moments right before your patients’ eyes and in the same amount of time as you would with a wall poster or anatomical model. With the JiffPad, your voice, your favorite teaching materials, your explanations, your gestures, your patients’ questions and your own replies are all now preserved and e-mailed to your patient as a memento of your teaching moment. You’ll give your patients more effective and memorable explanations and better patient satisfaction while saving yourself from repetition and saving your patients from potentially harmful misunderstandings. ScriptPad transforms the iPad and iPhone into a digital prescription pad allowing doctors to write prescriptions faster and safer than their current paper process. ScriptPad eliminates deadly prescription writing mistakes that contribute to over 7000 deaths each year and sends the prescription directly to the pharmacy where it will be waiting for the patient to pick up. Medical practices can maximize efficiency, increase profits and improve performance with CareCloud's web-based healthcare software. 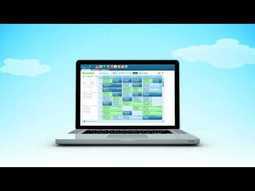 Manage your practice, revenue cycle, clinical workflow and patient schedule with easy-to-use and cost effective software that puts every tool you need at your fingertips.